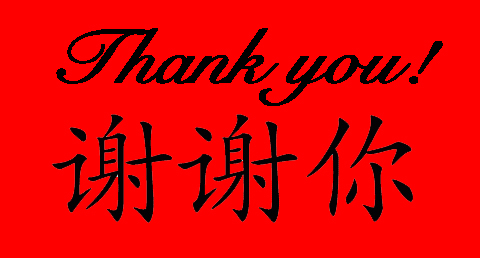 Amidst all the madness, I want to take a moment to express my gratitude to all of those who have really helped make Pui Chan: Kung Fu Pioneer the success it is. Each day I wake up I am in constant wonder at how fortunate I am. There have been many people who have given their time and efforts to this film because they believed in it. Of course my parents, Pui and Suzy Chan are the inspiration for the film, but there are many that have worked behind the scenes, and I would like to take a moment to say THANK YOU. First and foremost to my husband, Oscar Agramonte. I would not have been able to accomplish this film without him. He has been the constant drive behind this project and the best support system I could have asked for. My Demo Team: Thank you for performing and bringing spirit to our showings. It makes me proud to be the only movie with a live performance! Would I have it any other way? Tina Chan because you are simply fantastic. After the rush to meet deadlines for film festival submissions, now I play the waiting game. Although I plan to submit to more festivals that take place in the spring, I am waiting to hear from the ones that occur this fall. Grandmaster Pui Chan and Simu Suzy Chan are anxious too…which makes the waiting even more difficult…they are always asking “When will we know…?” Luckily, the Central Florida Film Festival news will hold them over for a bit. We are excited for our first festival submission, but of course hope that we will be able to share the film with everyone, everywhere. I hope everyone has been following us on Facebook and Twitter for all the updates. I’m still quite new to the social media world (blogging, etc.) but hope that I am keeping everyone informed and some what entertained. Again, if you have questions or subject requests for this blog, feel free to let me know. In the meantime, we can all wait together for the premier of the film and for more screening dates and times. After years, months, days, and hours of work. I am finally finished with my first official documentary for Wah Lum Films. I would have liked to update everyone throughout the process, but there was no time while I was in production or post production. I am excited to have finished a project that is so meaningful to me. Not only is my father an inspiration to me, but to thousands of others as well. In this blog, I plan to keep every one informed about screenings, press releases, festivals, dvd releases, and potential ways that you can see this film. I will also share stories, behind the scenes, and interviews about the film.